Even though we are approaching fall I stay in the South, which means temps are way too hot and are going to be that way for a while. 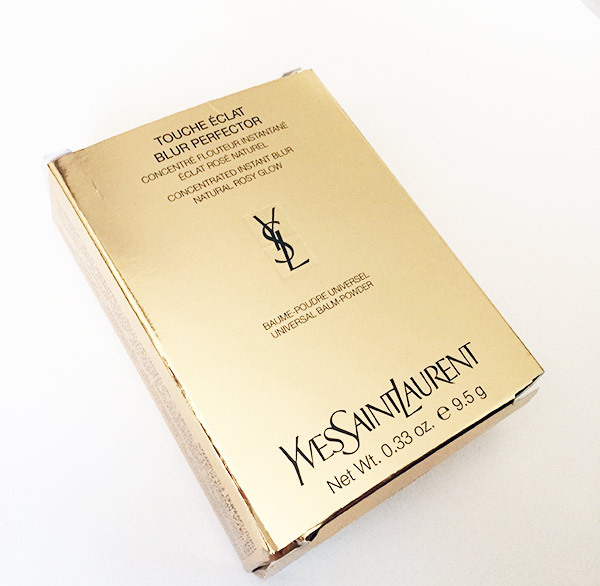 The make-up gods must have been smiling down on my behind as I was gifted to YSL beauty products. Yes, two, for the free 99 . 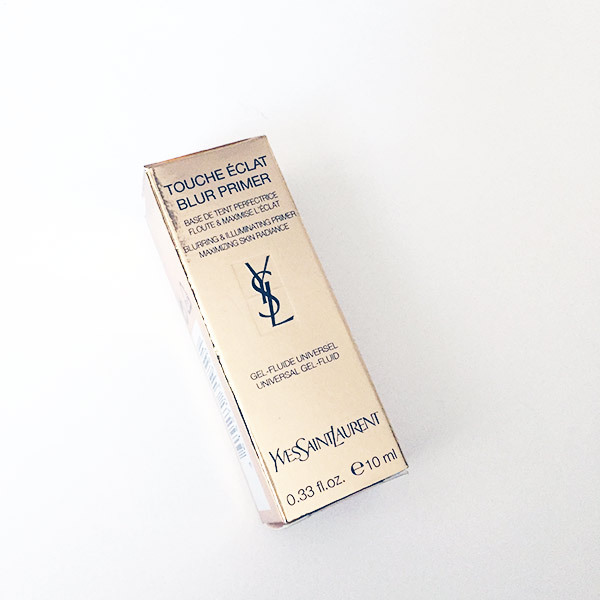 I received both the YSL Touche Eclat Blur Primer and Touche Eclat Blur Perfecter and have actually been loving them for the past month. Since I received both products a month ago c/o Influenster, I have been pretty much using them religiously. I have crazy oily skin and depending on the day (cause my face is a moody little thing) I can be a oily mess mid-way through putting my make-up on. 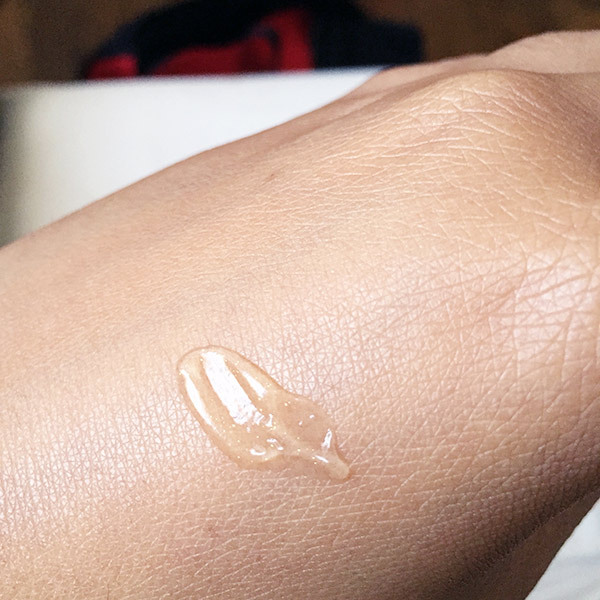 I had found myself reaching for them more and more in lieu of other primers and mattifiers that I have been using to combat the summer oily war. 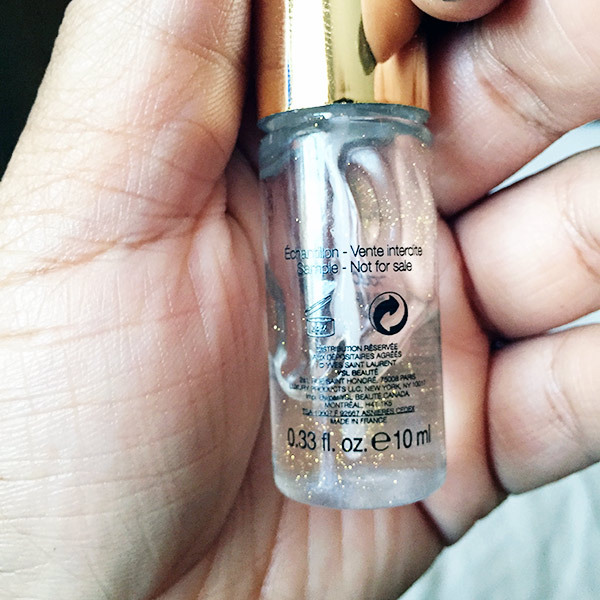 I want to bow down to the make-up gods for bringing this product into my life. It is soo smooth and luxurious. The cream to powder consistency is just magical. I have used it in about every possible way. 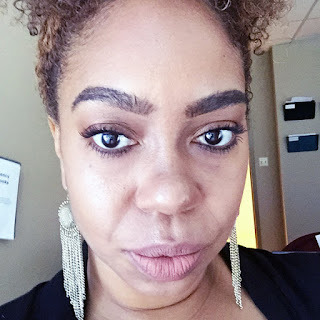 To set make-up, CHECK; to de-oil (I just might have made that word up) my face cause by the end of the days my t-zone is an oily battle field, CHECK CHECK; and a stand alone in place of foundation and tinted moisturizer, CHECK CHECK AND CHECK(mate). I actually have been doing the later a lot lately as the temps in TN have gotten ridiculous. 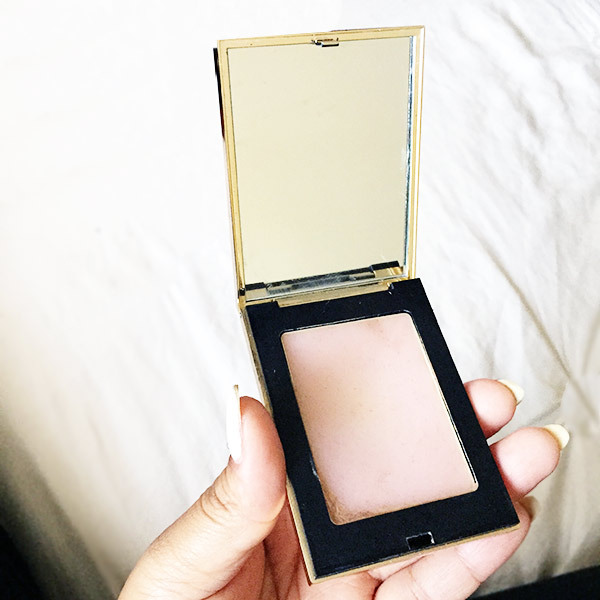 I will be purchasing this once my complimentary compact has been used up which is about $55 a pop. Please believe it! Hello gorgeous. 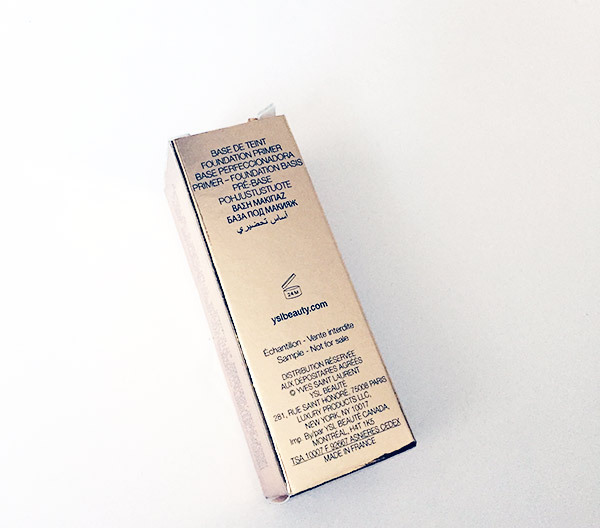 The packaging alone is jut beautiful. I feel all fancy and stuff when I reach for this product. Yeah I'm not sure what they were thinking with this applicator pad. 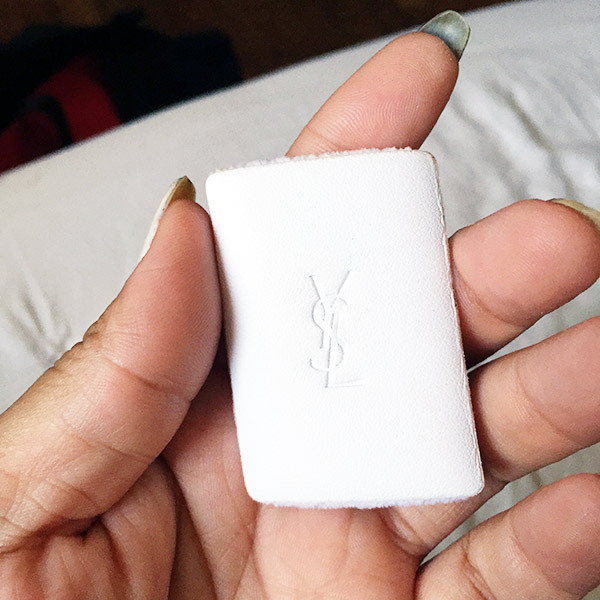 It's pretty and really soft, but it literally wipes off anything already on the face. 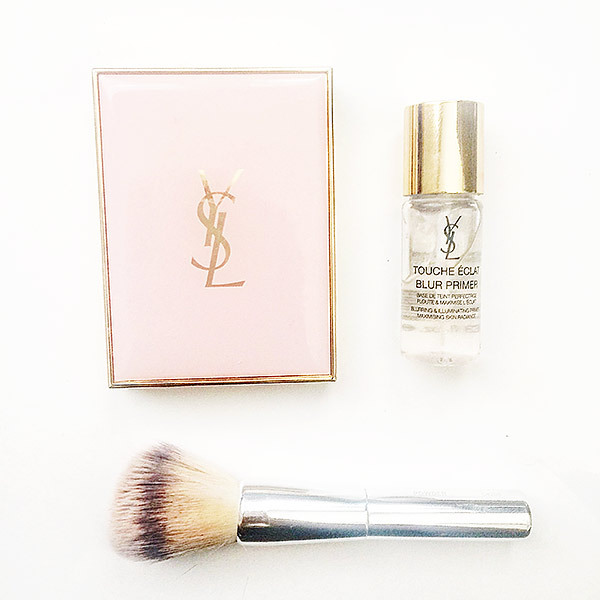 I replaced it with a mini IT Cosmetics Powder brush and my application issues were gone. This product does indeed live up to its name. I have used other silicone based primer and they always left my face looking oily or made anything I put on top all cakey look. No bueno honey. I have learned though a little goes a long way, at least for me. I have to build this primer up to the preferred coverage. 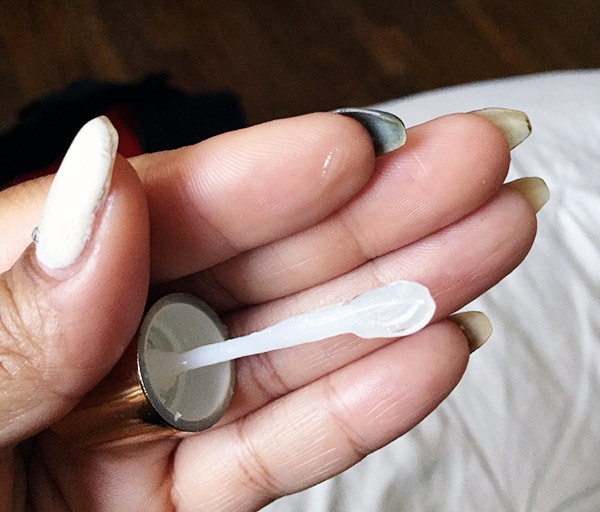 If I apply it directly with the applicator brush is comes with, it is entirely too thick and jut sits on top of my skin. 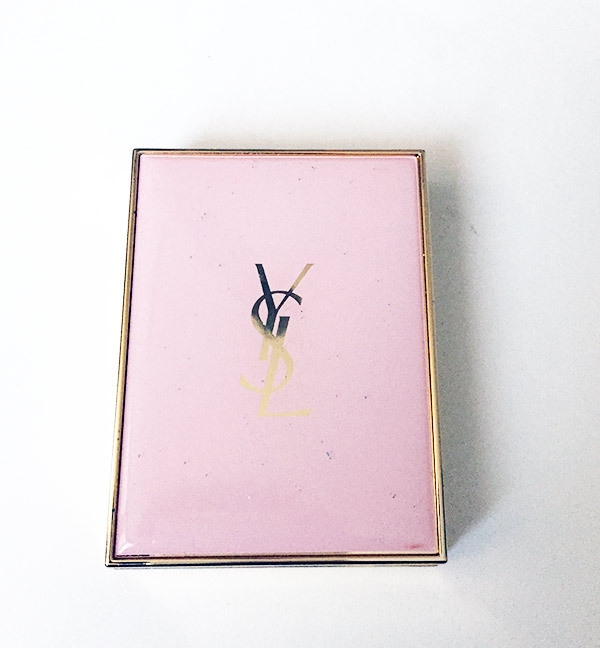 It is on the the pricey side at $52, but as with all YSL beauty items I have owned it is worth it. Oh and yeah, it smells divine. 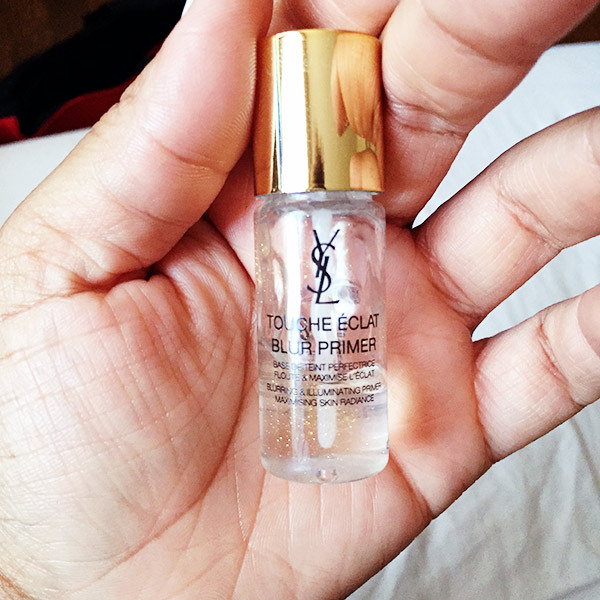 Not totally sure if I would purchase this primer though, a I'm not really too concerned with "blurring" pores. 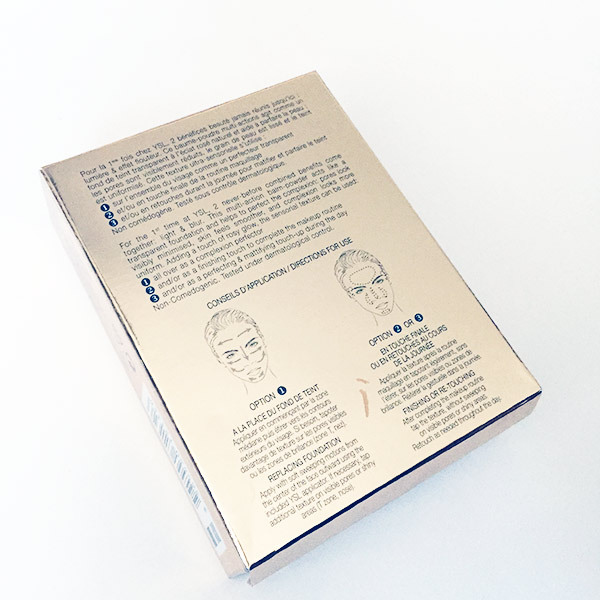 However, it does help me achieve a super flawless look. Look at those beautiful gold flecks. I would go into describing what they are and what they do, but yeah I don't really know the science behind them. However, I do know that this products feels freaking amazeballs on my face and make my looks like I have the best skin ever. See what I was talking about with the way too much product?! That is straight out of the bottle. Of course this is a sample size and I believe that there is a full size option with a pump. Couple of pics of my mug where I have used both products. I promise I'm actually more of the color on the right. Weird lighting + iPhone selfie on the left. The struggle. 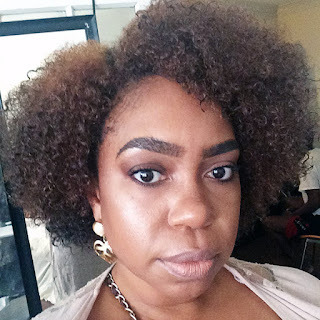 Products were received c/o Influenster for review. All opinions are my own.